We watch with a horrified fascination that is part curiosity and part compassion. Through the miracle of moving pictures, we are connected to the lives of people we have never met and may be moved to help them. In hurricanes and floods, warfare and terrorism, one of the first things to collapse is communication. Sometimes the networks themselves are damaged — as when 2011 Japanese tsunami wiped out wired and wireless communications in the Sendai region — and sometimes they are simply overwhelmed by the number of people trying to use them. 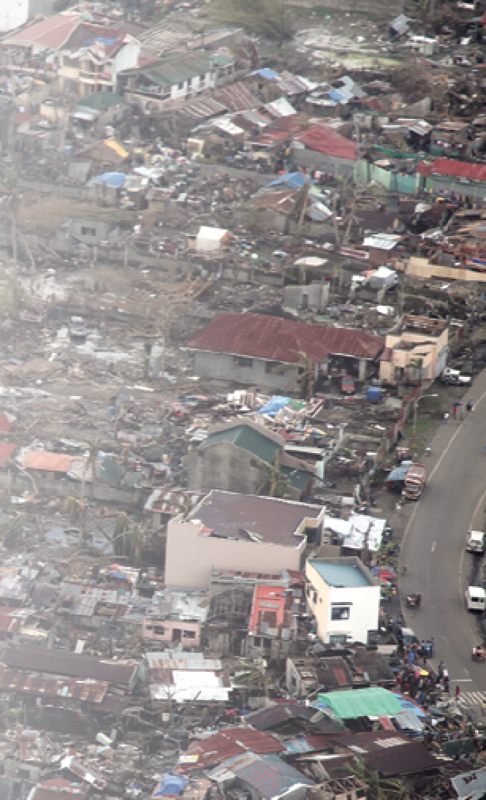 Some catastrophes take place far from any broadband connection or optical fiber line. Since the 1980s, the solution to delivering news from the worst places in the world has been satellite. In 1984, an entrepreneur named Stanley Hubbard, a TV station owner and member of SSPI’s Hall of Fame, assembled a team to create the world’s first “satellite truck” to deliver live news from the field. That innovation created a global industry, worth an estimated US$1.2 billion today, now referred to as digital newsgathering or DNG. DNG uses a mix of satellite, cellular telephone, microwave and wired broadband to transmit news from the field to the news center, where it is edited into stories or put live on the air. 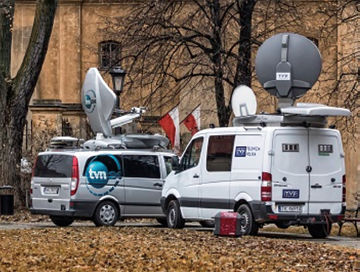 The broadcasting equipment rides on trucks or cars, in suitcases or backpacks, and it makes reporters, wherever in the world they may be, into integrated members of the news team. Bringing live coverage of terrible events to a viewing audience is a tough job. On September 11, 2001, executive producer Susan Zireinsky, of the CBS news program “48 Hours” was tasked with producing the primetime coverage of the first day and night after the fall of the World Trade Center in New York City. When the infamous Capiapo mine collapsed in Chile, NHK of Japan arrived early and stayed until after the rescue. Roger Hawkins, president of the satellite services company Disaster Truck, recalls working for the network. The same video footage, transmitted by satellite, transfixed people the world over. Mr. Hawkins was also present after a 7.0 magnitude earthquake struck Haiti in 2010. CBS did not have any equipment of their own close enough to Haiti to rush to the scene — Disaster Truck got the call. After installing their portable satellite terminal into place, however, they could not find a generator to power it. The stakes were high. American journalist Katie Courec was due to arrive to handle the reporting assignment, so Hawkins’ team wired up two Haitian taxi cabs to produce enough power for the satellite terminal and the camera. The coverage went live on schedule. Reporting live from the field does more than satisfy the idle curiosity of viewers. In many terrible situations, such field reporting provides the first reliable information from the field and marshals the concern and support of millions of people, who are moved to donate online. Red Cross officials reported that they raised US$488 million from the public for disaster relief in Haiti. When the tsunami struck Japan in 2011, donations to the Red Cross added $700 million to the massive disaster relief effort of the Japanese government. Field reporting also brings the realities of war, terrorism and disaster into the homes of those lucky enough to be safe from such events. The reporting can make us feel less safe, but can also unite us in powerful ways. When the United States pushed Iraqi forces out of Kuwait in 2003, the world saw live coverage from the Bloommobile, a satellite-equipped vehicle that NBC News put into the field. The truck was named for correspondent David Bloom, who became a household name by reporting on the move as tanks and trucks rolled across the desert. Sadly, Mr. Bloom died of a pulmonary embolism in Baghdad soon after those broadcasts. The digital newsgathering toolkit has an ever-expanding range of technologies to capture and deliver news to a TV, computer or phone. When journalists need to deliver that news from some of the most dangerous places in the world, only satellite is up to that formidable task. 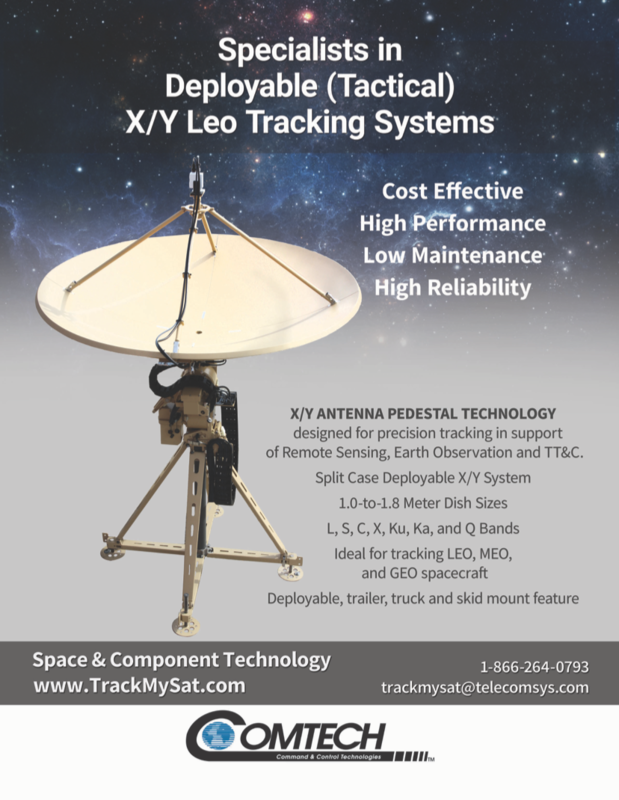 This article was produced for SatNews by Space & Satellite Professionals International (SSPI). 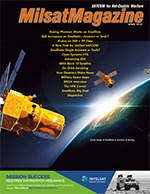 “A NORSAT ‘Case In Point’ Disaster Truck,” MilSatMagazine, September 2014. “Electronic New-Gathering,” Wikipedia, September 23, 2016. “For the Pullout, NBC Dusts Off the Bloommobile,” by Brian Stelter, The New York Times, August 18, 2010. Opening photo is courtesy of the UK Department for International Development, Flicker Creative Commons.